...and boom! 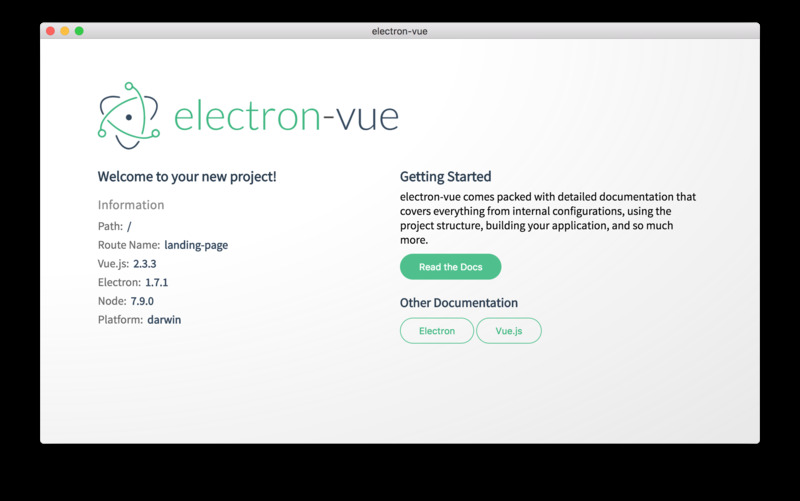 You now have a running electron-vue app. This boilerplate comes with a few landing-page components that are easily removable.